Aurora didn't forget the Marvel Comics' heroes, either! Here is the fabulous SPIDER-MAN kit, from 1974! Here comes CAPTAIN AMERICA! From the 1976 "Comic Scenes" release! It's THE INCREDIBLE HULK! Rampaging his way (in gray!) 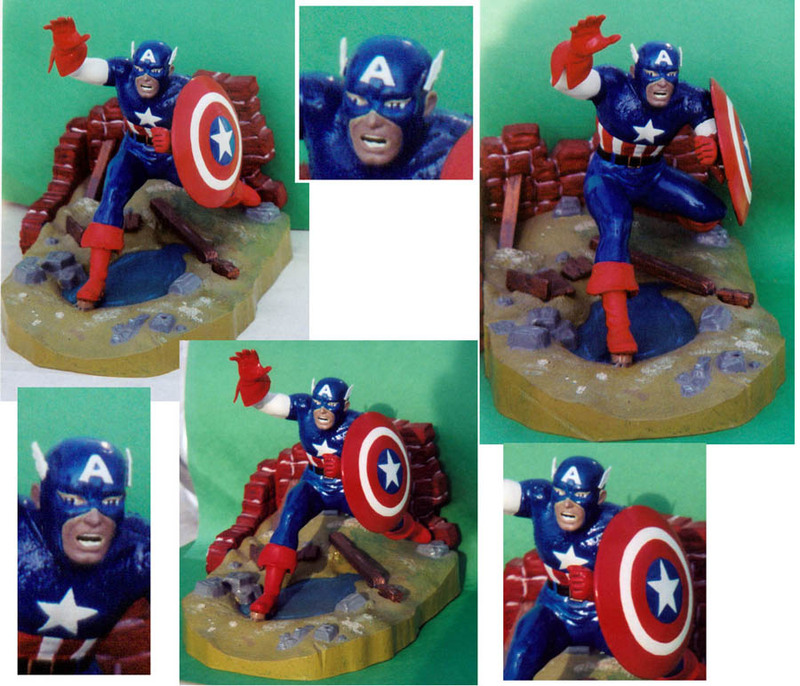 through this 1974 "Comic Scenes" kit!